at any time without restriction other than as set out in the General T&Cs. For Credit and Debit Cards: 1-3 Working Days and instantly for eWallets like Skrill Neteller. At least one of us in the 777 Casino office has been a Casino Cruise for many years, so we’ve been looking forward to reviewing it. We’re glad we didn’t commit to the task sooner, however. That’s because the whole site has just undergone a facelift as of April 2017, so any review completed before the would be out of date. It’s not quite been a case of clearing the decks and replacing the mainsail, but there’s the crew have certainly spruced up the old seadog. In truth, there wasn’t much wrong with Casino Cruise in the first place. It’s always been an attractive casino with some nice design touches. There’s nothing wrong with freshening things up from time to time though, and its retained the core functions that make it one of the most popular online casinos around. The Casino Cruise login ‘My Account’ section is well rendered, featuring a signed menu full of different functions in an overlay that opens atop the main casino pages. The promotions page is designed to look like a posh cruise ship dining room, complete with all the furnishings. Different bonus opportunities are listed clearly and boldly. It’s just the homepage that looks a little cluttered, with the huge banner and large thumbnails joined by numerous menus, buttons and links. It’s certainly not drastically distracting, but the team could have adjusted some facets in favour of even easier navigation. Let’s not overstate any small flaws, though. Casino Cruise has always been an attractive online casino, and it remains so. IS CASINO CRUISE EASY TO USE? We re-registered at Casino Cruise to test how the new look site performs. We had a smooth experience, the whole shebang only took a couple of minutes filling in the first registration box, to activate your account. 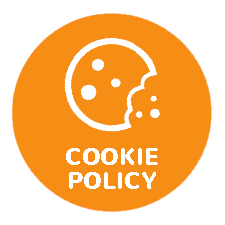 The first time you sign in, you are prompted to accept the site terms and conditions – an unusual, but transparent move. You can then follow a link from the homepage or click on the ‘My Account’ section to make a deposit. You don’t have as many deposit options as you might elsewhere, but the process is easy. You have the opportunity to opt-in for your welcome bonus if you want it, or reject it if you don’t. We were a little confused by the two options we had in the ‘welcome bonus’ field at first, as they looked identical. But we soon realised we were been offered the chance to claim it in euros or pounds (this doesn’t make a huge amount of sense, as surely it will depend on the currency you use to deposit). We contacted customer service, which is available by live chat around the clock, to discuss our deposit. We asked a question about the bonus and received a quick reply. We did, however, feel like the agent was most interested in ensuring we went through with the deposit. Still, the replies were swift and relevant. The customer service section is really impressive as we mentioned earlier. There’s an extensive FAQ section, which is arranged into topics to help you find the answer you’re after. The FAQs often negate the need to contact customer service, but when you need to get in touch, you can do so by live chat, email and phone. It’s an impressive support function and enhances the user experience at Casino Cruise. The only other downside that it would be remiss not to mention, is the bonus terms and conditions. They’re not paragraphed or bulleted, so you have to pick your way through one long stream of text. It ain’t pretty, and we expected a bit better. You need to use CTRL + F far to much to find relevant information. We had it in our heads that Casino Cruise games which has a massive selection. The reality is a little different, but not in any terrible way. The collection consists of various video slots, jackpot games, table games, bingo varieties, and scratchcards. There’s certainly no lack of choice in terms of game type. However, the games are supplied by just 5 different suppliers – MicroGaming, NYX, NetEnt, Play n’ Go and Evolution Gaming, the latter of which is responsible solely for the Casino Cruise live casino. It’s a small group of software designers but includes four of the most prolific. This means you have loads of options when looking for a new game. We’ve mentioned the games grid, and we don’t find it the best to browse. However, the cleverly designed top menu allows you the whittle the games down by type and, indeed, provider. This makes the browsing experience that little bit more enjoyable if you don’t want to directly search for a game. There’s also an impressive 25 jackpot games, ranging from local jackpots to network progressives. Mega Moolah, Mega Fortune, Major Millions, Hall of Gods and Arabian Nights are amongst those in the latter category. Meanwhile, most of NetEnt’s local jackpot games feature in the first. Yes, Casino Cruise doesn’t boast as many different providers as other online casinos. But what it does have, it uses well. it’s little wonder that we always found the games selection so sufficient because it is exactly that. Casino Cruise’s most recent welcome bonus rewards players for each of their first four deposits in the online casino. Your first deposit triggers the biggest of the bonus treats. You’ll need to credit your account with only £10 and they’ll double your money in return, thanks to a 100% bonus up to £200. The first deposit also activates the first of 10 bundles of 20 free spins, shared across consecutive days. You need to visit the casino every day to pick up your free spins because they don’t roll over. It’s a good excuse to get comfortable at the casino and explore it fully. Both the bonus and winnings from free spins are subject to standard x40 wagering requirements, and you have fourteen days to fulfil the requirements. In addition to the first deposit bonus, Casino Cruise offers a series of reload bonuses across your next three deposits. As ever, these are intended to encourage you to return to the casino and begin the process that converts you into a regular player. However, the reload bonuses are fixed at lower percentages than your first deposit bonus. You’ll receive a 50% bonus up to £200 with deposit 2, and then a 25% bonus up to £300 with both deposits 3 and 4. The overall package gives you the chance to pocket as much as £1000 in bonus cash if you’ve got deep pockets, as well as the 200 free spins. However, more modest deposits still provide you with plenty of opportunities to explore Casino Cruise in detail. WHY BECOME A REGULAR PLAYER AT CASINO CRUISE? Casino Cruise has built its undeniable success on its versatility. It’s a solid all-rounder, with a pretty site, focussed seafaring theme, highly rated customer support function, and lots of regular bonuses. They also give away a regular real-life cruise to all sorts of places, from the Caribbean to the Norwegian Fjords. You’ve got to be in it to win, and you can only do that by becoming a regular and visiting the promotions page frequently. They also operate one of the most extensive VIP programmes around, with staff commissioned to pay close attention to the needs of any registered high rollers. 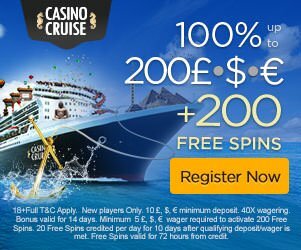 Casino Cruise’s reputation has grown hugely and deservedly over the years, and it’s now one of the most popular online casinos in the industry for a good reason. It compares favourably to the plethora of options out there. The Casino Cruise mobile casino is available for iPhone, iPad and Android devices directly through your web browser. It’s fully optimised to fit different screen sizes perfectly and, just like the desktop site, it’s undergone a facelift recently. The new design is almost identical to its big brother. It maintains nearly all the functionality mobile players could want, including access to the live chat portal and the ability to deposit and withdraw. As you’d expect from Casino Cruise, it looks greats to boot. Menus are bold, and you can toggle between different areas of the site quickly. Just like the main site, you can play the vast array of slots and other casino games in free play ‘test’ mode before you try them for real cash. That’s a nice touch, that you don’t see everywhere. The games are fast to load and play without any glitches or jumps, so you’ll enjoy a smooth experience wherever you are in the world. There isn’t much to criticise about the Casino Cruise mobile casino. It’s typically classy, and those of you who like to play from your smartphone or tablet is unlikely to find fault. Casino Cruise pitches for the mass market and ticks most boxes. The new site design isn’t a vast improvement in our opinion, but that’s not to the detriment of the overall experience you’ll enjoy using the site. Why? Well, because it’s always looked good. The design team have a theme in place and stick to it. The colours are vibrant, the user experience is great aside from a few minor issues, and they have a proactive attitude towards bonuses. Throw in round the clock customer support via live chat and both UK and Malta licenses, and you have the perfect all-round gaming platform. Sure, they don’t have the biggest list of software providers, but they do have a handful of the very best. You can understand why this online casino has proved so successful. Between 24-48 hours. There is a minimum withdrawal and deposit of £10. Deposits are instant. There is a maximum withdrawal limit per transaction of £1900.